New Delhi, Oct 03, 2017 : The Reserve Bank of India is all set to start printing new designs of the Rs 100 currency notes. Which means, you might be getting brand new Rs 100 notes around April next year! Reportedly, RBI will move on to the printing of new designs of the currency notes after getting done with the printing of Rs 200 notes. Some banks have even instructed the ATMs to check for the recalibration of the machines to begin testing the Rs 200 notes. RBI launched the bright yellow Rs 200 notes in August. Notably, the new currency notes likely to bear same dimensions and size to avoid recalibration of ATMs. 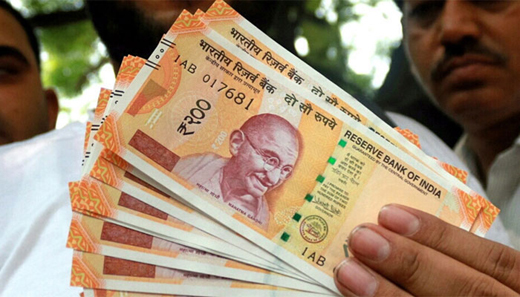 It may take around another six months to exercise the pumping of Rs 200 notes into the system. Prior to the demonetisation last year, India had currency denomination of Rs 1, 2, 5, 10, 20, 50, 100, 500 and 1000. Post note-ban, RBI has introduced currency denomination of Rs 2000, 500, 50, 200 till date.